Arlington’s non-metallic, non-conductive Vapor Box offers quick, nail-on installation in new construction. 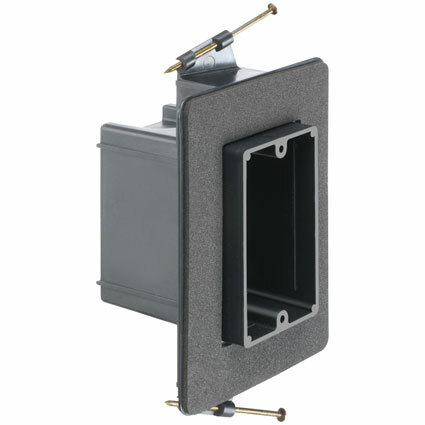 Easy to use with single 1/2" or 5/8" drywall, this device box has gaskets that prevent air infiltration inside, and help you meet International Energy Conservation Codes (IECC), and others as necessary. Gasket material is pre-attached to flanges, and there’s no assembly required! Plus, the built-in gasketed flange has ultra-thin alignment tabs so there’s NO DRYWALL BULGE.